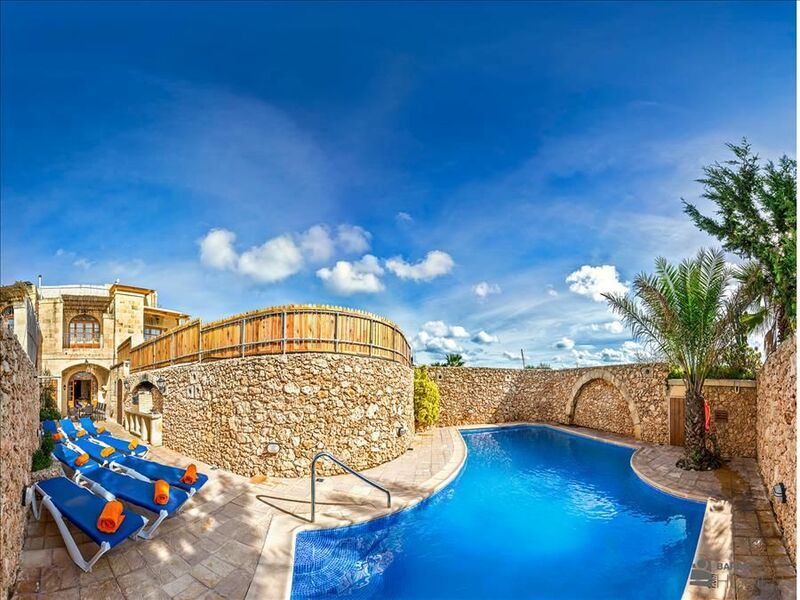 This very special property has a contemporary yet typical design, it is modern without compromising its Gozitan outlook. The house structured on two levels offers far reaching open country and sea views. Every detail of the house has been designed and arranged with taste and care. The attractive swimming pool set in a lawned garden includes a water feature amongst the shrubbery which gives a cooling, relaxing feel. The garden, around the swimming pool, is spacious with modern outdoor settings, dining area with teak furniture seating 12/ 14, BBQ, teak sunbeds, bar area with stainless steel fridge counter and a separate shaded lounging area. 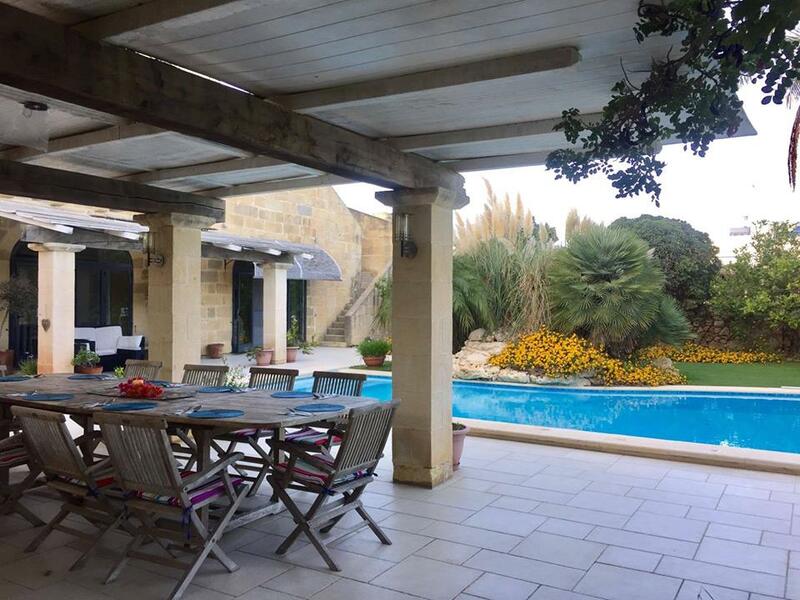 Ta’Luna farmhouse is a delightful and comfortable house and your ‘home away from home’! 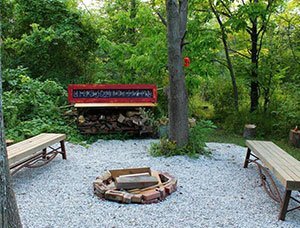 This retreat will run from Saturday to Saturday. The first Saturday is arrival day and once we all settle in we’ll gather for a healthful vegetarian welcome meal and get to know one another. After our welcome meal we will have a 30 min meditation to ease you into a peaceful sleep! The yoga classes will start on Sunday with 2 classes / day. There will be no class on departure day so you can take your time in the morning, perhaps begin to implement a self practise to keep you feeling renewed, refreshed and ready for the dance of life! MBY runs the week pretty loosely so once everyone settles in we can collaborate together as a group in regards to group activities such as hikes, dinners out, treatments & excursions. * Please note that only breakfast is included. The kitchen in our retreat home will be communal. Some guests choose to explore the local restaurants and sometimes we all cook together. It’s always fun exchanging recipes and sharing food and eating outside under the stars. Please advise MBY of any dietary restrictions. Our yoga sessions will run each morning from 8-9.30am & every evening from 5-6.30pm. Each morning session will include pranayama, a gentle warmup, a heat building vinyasa sequence incorporating sound & some kriyas for focusing our minds. The morning class will conclude with a 15 min meditation. Then we will gather for a lovely healthy breakfast after each morning session outside by the pool. Each evening class will be a more restorative session with grounded asanas and long holds in each pose with a particular focus on presence & breath. 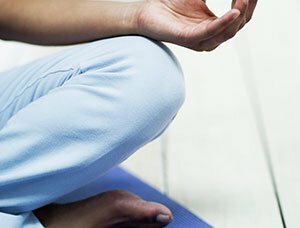 The evening class will conclude with a 30 min guided meditation. 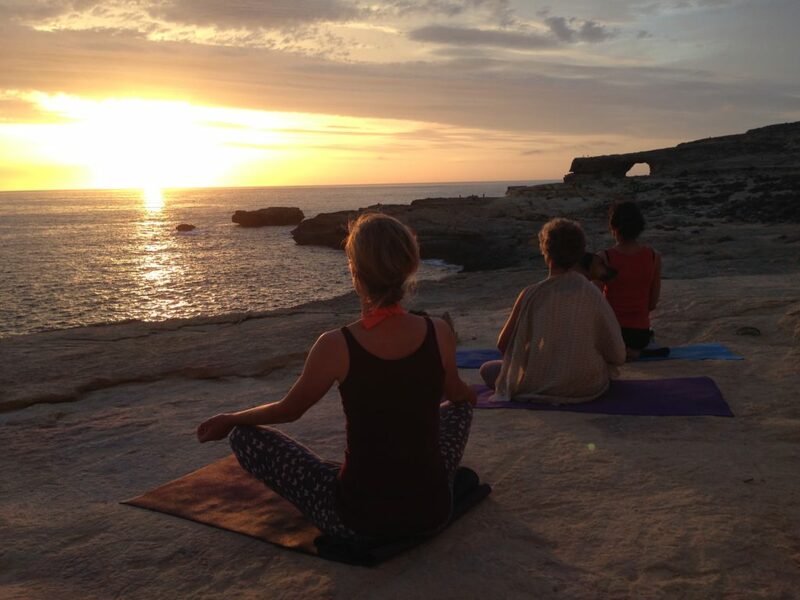 We can also take our yoga outdoors by the sea for a sunrise and/or sunset session which is such a treat as MBY knows some great locations around Gozo that provide the perfect natural setting. Transfers from the airport to the retreat home are NOT included but MBY would be happy to set a transfer up for you. You would be responsible to pay the driver directly. If this is something you’d like MBY to organise for you just send over all your travel details and it will be taken care of. Approx cost of round trip is 60 euros. If other retreaters are arriving in and/or departing at a similar time to you then the ride could also be shared. Once you arrive at the airport the driver will be there with a sign with your name on it. 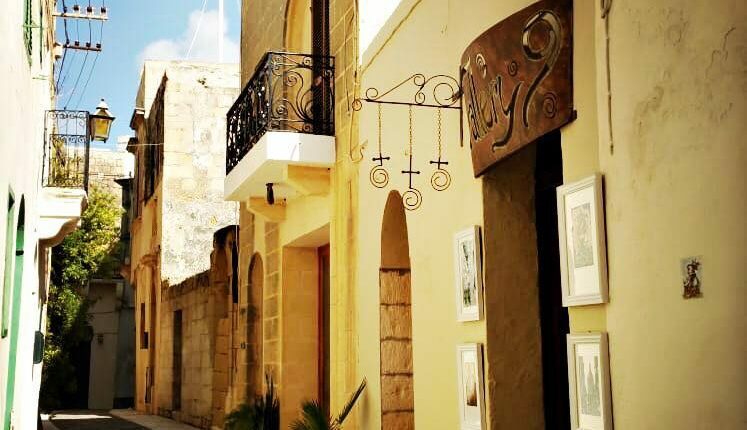 It takes approx 45 mins to get from the airport to the ferry which brings you to Gozo. The ferry trip is 5 euros return and it’s a 20 min glide over the lovely blue waters. Gozo is super easy to get around by bus. MBY will have a schedule on hand and the retreat home is never very far away from a bus stop. Bus fare is 2 euros/ride. Cycling around Gozo is also fun and pretty safe. MBY can organise bike rentals upon arrival. Taxis & car rentals are also available. MBY has great contacts for both of these services upon arrival. Gozo is one of Malta’s neighbouring Islands. The island is only 67 square kilometres which makes it easy to see it all in a week. 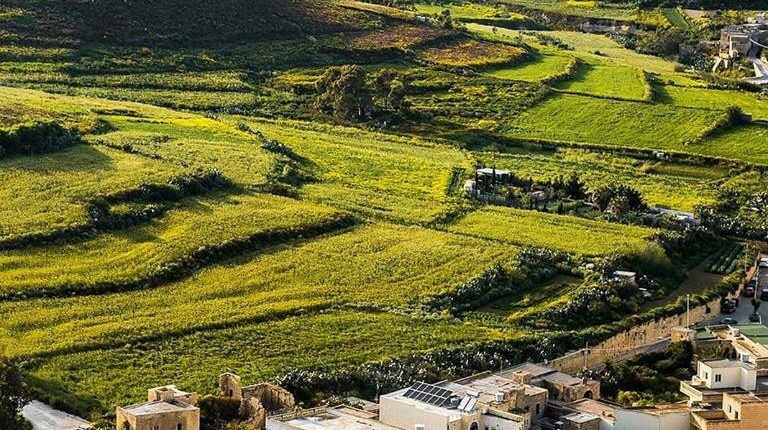 Gozo also boasts some of the most stunning coastal hikes, churches, quaint cobble stoned streets, and plenty of fresh fish restaurants with incredible sea side views. Known for its Neolithic temples such as Ggantija Temple ruins, rural hiking paths, beaches, and scuba-diving sites. 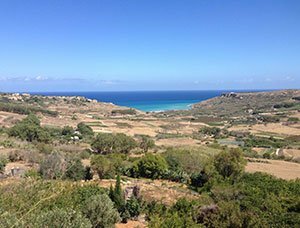 There is plenty of countryside and culture on this gem of an Island and the beautiful Mediterranean Sea is turquoise, clear, and inviting. The locals are incredibly warm, friendly and always willing to help out. Lastly, Gozo is incredibly safe which is a hard thing to find these days. The locals leave the keys in their front doors and in their ignitions still! Your retreat is yours to design. Your free time is each afternoon from when we finish breakfast till our next yoga session at 5pm. 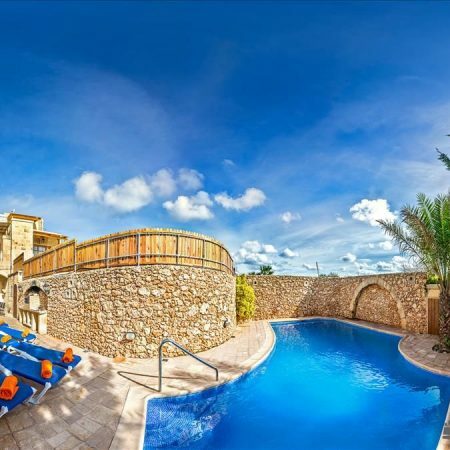 During your retreat you may choose to explore this great Gem of an Island, get adventurous with a dive or rock climb or you may just wish to Pamper the Soul and book in for some treatments with MBY’s host of great Qualified Therapists. 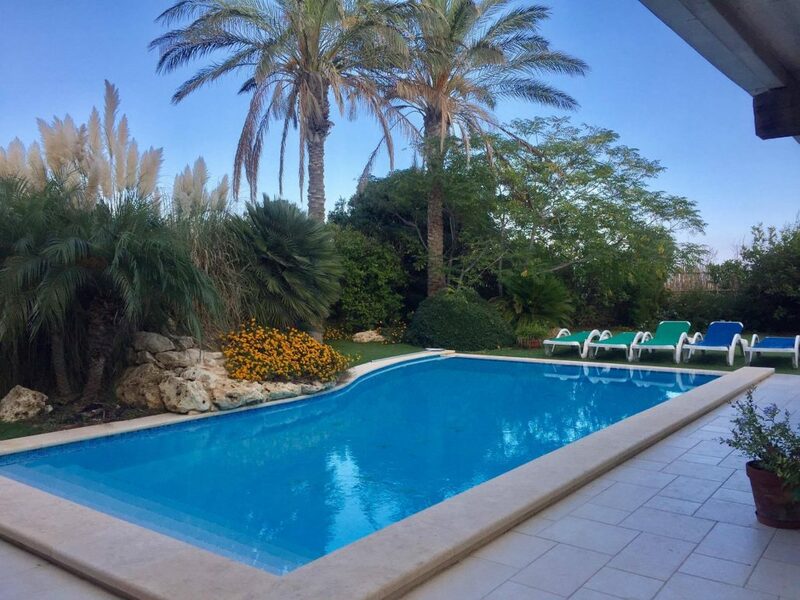 You can also just choose to BE and relax by the pool at our retreat home in peace. Rock Climbing, Diving, Biking Tours, Kayaking, Walking Tours and Boat Trips. 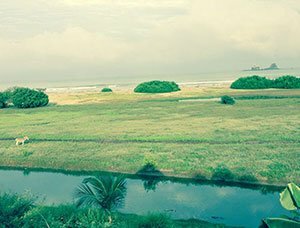 7 night Inside Out Retreat from October 13-20th of 2018.